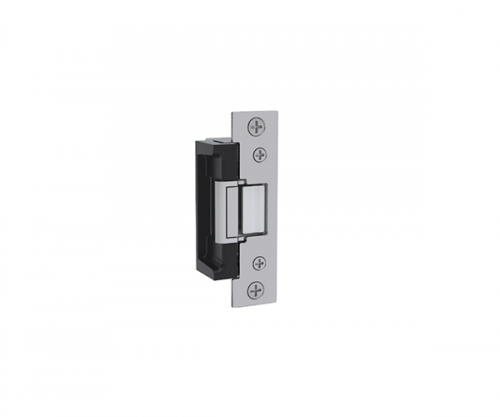 The 9500 series is a 3 hour fire-rated, surface mounted electric strike designed to accommodate rim exit devices with a 3/4″ throw Pullman latchbolt. All components are completely encased within its 3/4″ thick stainless steel housing, so no cutting on the frame is required for installation. 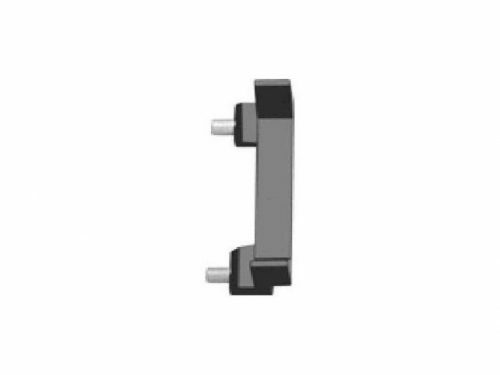 Simply place the electric strike on the surface of the frame, align it with the exit latchbolt and install. Adjustments have never been easier as the base is now separate from the cover. The 9500 exceeds Grade 1 standards for strength and performance. It is field selectable for fail secure or fail safe operation, and for 12 or 24 VDC. 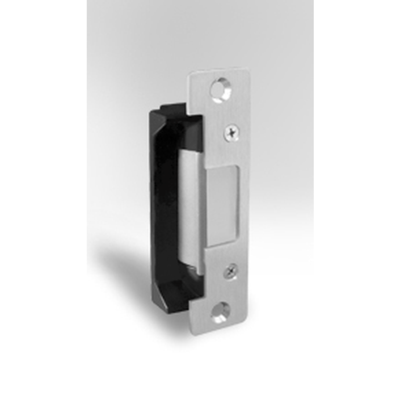 This unique electric strike complies with NFPA 80-07 guidelines for retrofit into fire-rated frames. Metal or wood frame application. Separate base and decorative cover for easy adjustments. Tamper resistant. Static strength of 1,500 pounds and dynamic strength of 70 ft-lbs. Horizontal adjustability. Non handed. Internally mounted solenoid.